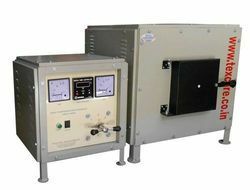 Our range of products include high temperature muffle furnace, digital muffle furnace, electric muffle furnace, electronic muffle furnace, industrial muffle furnace and laboratory furnace. 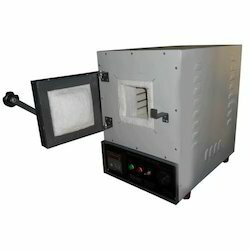 Avail from us precision-engineered Muffle Furnace. 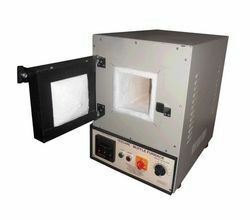 Muffle Furnace is used in hospitals, research centers, and other allied sectors. 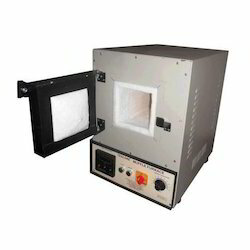 Our lightweight Muffle Furnace is designed in a rectangular shape with a digital timer, digital temperature indicator, and controller. Fabricated using mild steel, our Muffle Furnace comes with the double walled door. 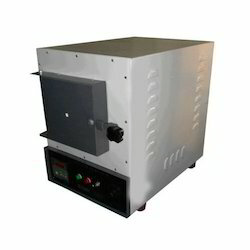 The outer body of Muffle Furnace is well painted with heat resistant paint preserving its long life. Well-equipped with 3 1500 Wheaters, the Muffle Furnace comes in different sizes to meet the diverse requirements of our valuable customers. 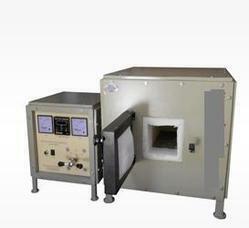 Laboratory Muffle Furnace offered comprise big heating space and use of open coil heating elements on both sides of heating chamber so as to allow faster heating with a minimum temperature gradient. Designed to deliver optimum performance, these are also appreciated for durable and sturdy construction finish and energy efficient functioning with lowest possible maintenance costs. With a working size of 125 x 125 x 250 mm, these are made available in a maximum temperature of 10000C and working temperature of 9000C.